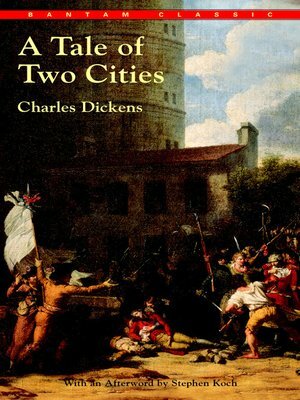 A Tale of Two Cities is Charles Dickens's great historical novel, set against the violent upheaval of the French Revolution. The most famous and perhaps the most popular of his works, it compresses an event of immense complexity to the scale of a family history, with a cast of characters that includes a bloodthirsty ogress and an antihero as believably flawed as any in modern fiction. Though the least typical of the author's novels, A Tale of Two Cities still underscores many of his enduring themes—imprisonment, injustice, and social anarchy, resurrection and the renunciation that fosters renewal. Over the years the Modern Library has become a staple of the American book trade, providing readers with affordable, beautifully produced, hardbound editions of important works of literature and thought. Perfect for students, the Modern Library comprises over 170 titles by such oft-studied authors as Plato, Chaucer, Bronte, Dostoevsky, Faulkner, Joyce, Keats, Shakespeare and Chekhov. And coming soon, more Modern Library titles on the Random House Web Site.